In order to become world famous, a singer or an actor has to sing only one song or to appear in one film. But before this, he has to work hard in order to get experience. Of course, there are exceptions, which are meant to confirm the above statement. Christian Serratos is an actress with a bright appearance. She proved that if you do not give up, even participation in second-rate TV projects may lead to success. Christian was born in Pasadena - the outskirts of Los Angeles, the chic Californian city. It happened on September 21, 1990. 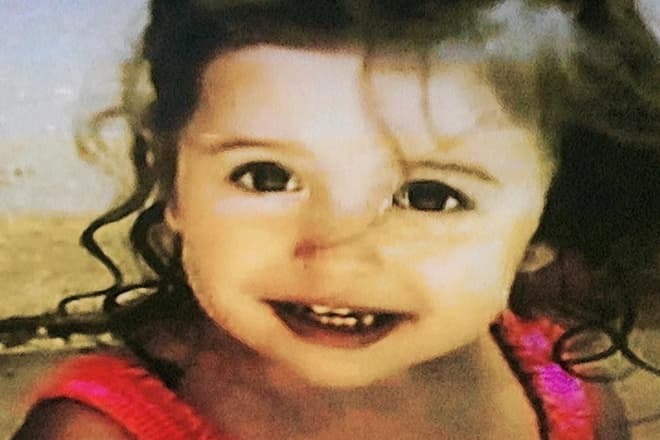 She showed her talents before going to school: parents noticed that their daughter loved to copy scenes from films and serials that she saw on TV. Christian's father and mother sent the daughter to their friends’ casting agency. The girl's mother was a well-known jewelry designer and had many useful acquaintances in Los Angeles. Christian made a big impression on the agency employees. She began studying acting. "If I did not become an actress, I would definitely take up a sports career." Christian’s coach in figure skating predicted her Olympic future. The girl refused and does not regret. "I would hate to skate," says the actress, "but I continue to enjoy this activity." For the first time, Christian appeared on the screen in 2004. The young actress starred in the series "Ned's Declassified School Survival Guide" - another family comedy. In 2005, Serratos, along with Jamie Lynn Spears, the younger sister of Britney Spears, starred in the comedy-drama "Zoey 101". 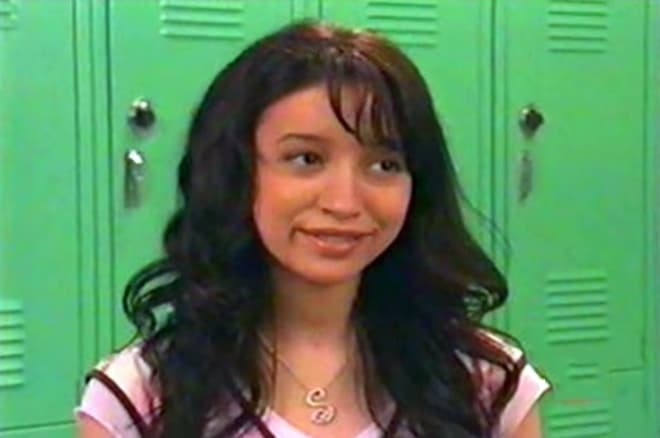 Christian Serratos in the series "Ned's Declassified School Survival Guide"
A year later, the actress appeared in the series "The Seventh Sky" - a drama about a family of Protestants who live in a small Californian town. In the same year, Christian appeared in the TV series for the first time. The full-length debut of the actress was the comedy "Cow Belles" by Francine McDougall ("Sugar & Spice", "Go Figure", "Behind the Camera: The Unauthorized Story of 'Charlie's Angels' "). According to the script, a rich businessman after another trick of his spoiled daughters sends them to the farm. The main roles in the film were played by sisters AJ and Alyson Michalka, Jack Coleman, and Michael Trevino. 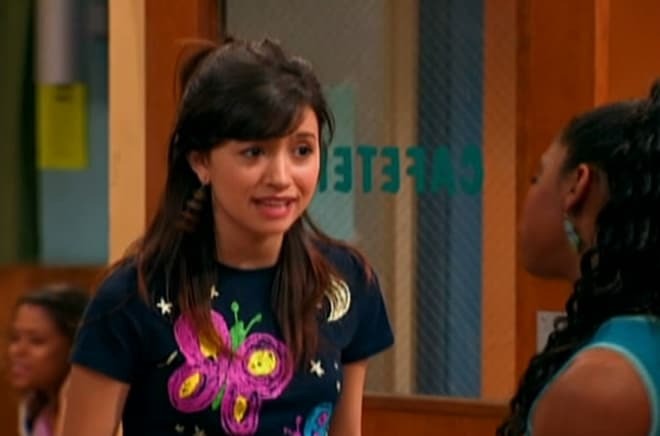 Christian Serratos in the series "Hannah Montana"
In 2007 seventeen-year-old Christian was lucky enough to get into the cult teenage series "Hannah Montana" along with Miley Cyrus, Emily Osment, Jason Earles and Mitchel Musso. The following year, Serratos starred in the mini-series "The Secret Life of the American Teenager" along with the future star of "Divergent" Shailene Woodley. However, 2008 was truly remembered by the participation of the actress in another project. She starred in the vampire saga by Stephenie Meyer. The director of the first "Twilight" was Catherine Hardwicke ("Lords of Dogtown", "Red Riding Hood", "Miss You Already"), and the main roles were played by Robert Pattinson, Kristen Stewart, Ashley Greene, Taylor Lautner, Anna Kendrick, Cam Gigandet and others. Christian Serratos in the movie "Twilight"
She played the role of Angela Weber in other parts of the franchise. The film “The Twilight Saga: New Moon" was released in 2009. This time the project was headed by Chris Weitz ("American Pie", "About a Boy", "The Golden Compass"). The reason for the director's change was the conflict between Hardwicke and Summit Entertainment management. A year later, the third part of the saga, "The Twilight Saga: Eclipse," was released. David Slade ("Hard Candy", "30 Days of Night", "Breaking Bad") replaced Weitz, as the latter was engaged in post-production of "New Moon ". In 2011, during the break between the third and fourth part of "Twilight", Serratos starred in the first season of the "American horror story", which tells about the house-killer. Christian Serratos in the film "Flight 7500"
Immediately after working on the series, the actress returned to the vampire story to star in two final scenes. It is noteworthy that "The Twilight Saga: Breaking Dawn – Part 1" and "The Twilight Saga: Breaking Dawn – Part 2" were shot by one director - Bill Condon ("Candyman: Farewell to the Flesh","Mr. Holmes "," Beauty and the Beast "). Although this time the producers decided not to change horses on the ferry. When the shootings of the franchise were finished, the career of Serratos declined once again. In 2013, the actress starred in the melodrama "Lip Service" along with the actor Eric Roberts, who is famous for starring in any project. Christian Serratos in the series "The Walking Dead"
In 2014, the horror film "Flight 7500" was released. It had all the chances to become a hit horror, as Takashi Shimizu, famous for the legendary "The Grudge", created the film. Such actors as Ryan Kwanten, Leslie Bibb, Jerry Ferrara, Amy Smart, Alex Frost and Christian Serratos starred in this film. And only after all these roles, the girl was lucky to get into the cast of the legendary series "The Walking Dead" - a film adaptation of the comic book series, which tells about a group of people who try to survive during a zombie apocalypse. 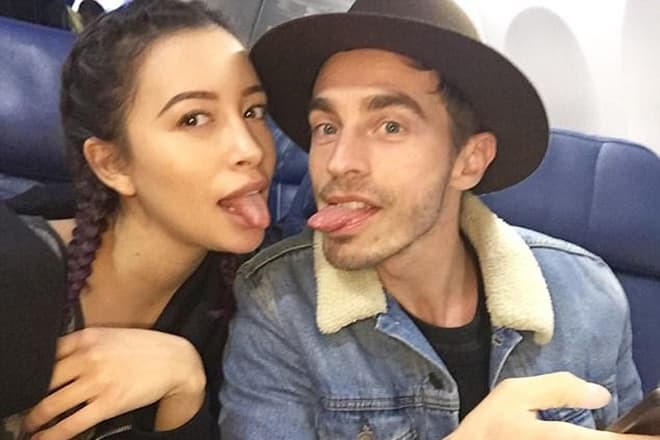 In 2014 the actress not only starred in "The Walking Dead" but also began the relations with the young rocker David Boyd. In spring 2017, the couple’s daughter Wolfgang Serratos Boyd was born. Christian posted the photo of the newborn daughter on the "Instagram". Serratos is a vegetarian and an animal protector. She has two poodles and also on a regular basis, the actress shelters her friends’ pets. Christian continues loves figure skating, as well as dancing and hand-to-hand combat. She dreams to go to Australia and to surf. In 2018, the actress has no new projects, except starring in "The Walking Dead". 2004 - "Ned's Declassified School Survival Guide"
2006 - "The Seventh Sky"
2008 - "The Secret Life of the American Teenager"
2009 - "The Twilight Saga: New Moon"
2010 - "The Twilight Saga: Eclipse "
2011 - "American Horror Story "
2011 - "The Twilight Saga: Breaking Dawn – Part 1"
2012 - "The Twilight Saga: Breaking Dawn – Part 2"
2014-2018 - "The Walking Dead"